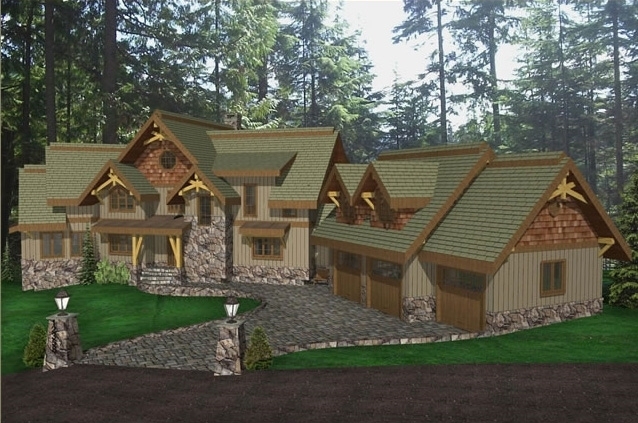 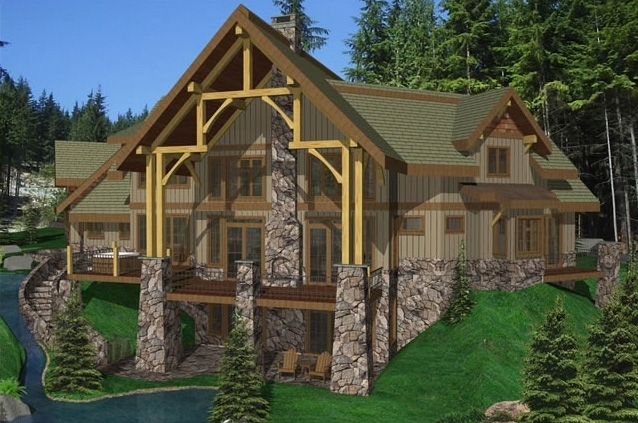 This three story timber frame log home boasts one bathroom downstairs, a master suite with ensuite and his and hers closets, powder room and office on the main floor, two bedrooms and a junior master with ensuite upstairs. 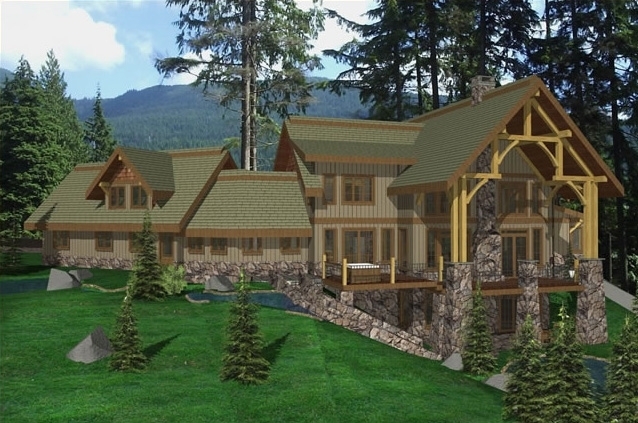 A large kitchen and dining area on the main floor is open to a sunken great room. 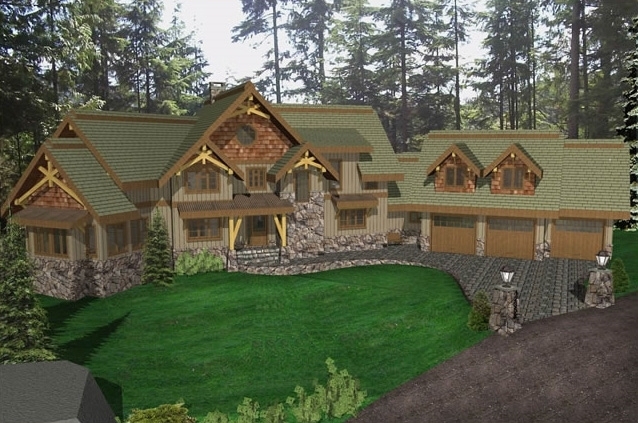 Luxuries in this home include a bar, wine cellar, theatre and three car garage.